The Dudgeon is coming – and he’s coming tonight! According to the Bombazine Bear, he’s shy and polite! So why are the Battersea Cat (who is washing her hair), the Swashbuckle Stoat (in his three-cornered hat), the Purple Kazoo (who is knitting a coat) and all the other colourful and eccentric creatures becoming more and more alarmed as the time of his arrival approaches? 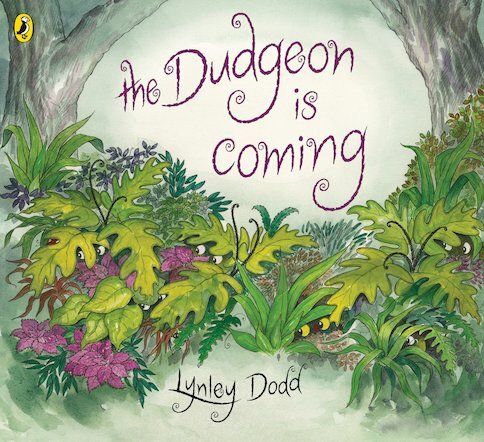 This is another linguistically rich and deliciously funny picture book from Lynley Dodd, whose Hairy Maclary is universally adored.